I am excited to put together Easter baskets of some kind for my nieces and nephews soon and I was happy to have the chance to read and review An Easter Prayer because I knew it would be a good addition to one of those baskets. 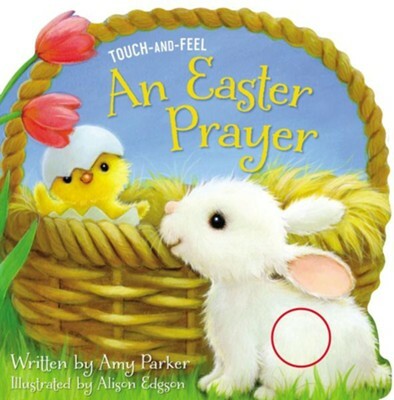 This touch-and-feel book shares a simple Easter prayer of gratitude to God. The pictures in this book are colorful and bright - and made extra fun because of the touch-and-feel accents. The text of this book reads well. This book talks about all that Easter is about, and finishes by thanking God for sending Jesus. I like the textured spots that kids can feel - especially one really soft flower. There isn't really anything that I disliked when it comes to this book. Overall, I think this is a good book. I give An Easter Prayer 5 out of 5 stars.